It has been hot, hot, hot here over the last few days. Cooking has been easy with as little use of the oven as possible. 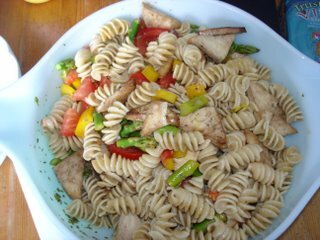 First up is a pasta salad. This salad was a bit disappointing considering the labour that went into it. It had baked tofu in it, so I even had to turn on the oven. I probably won't make it again. 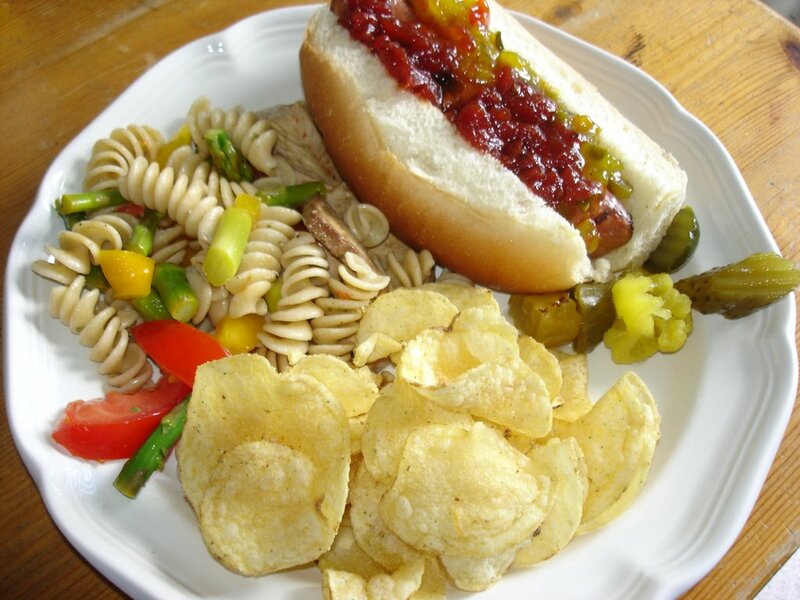 We had the pasta salad with Ives soy "sausages" They are new and they were pretty good. We will probably have them again. Nice and easy in the summer. I like hot dogs and sausages so it is nice to have a vegetarian choice. 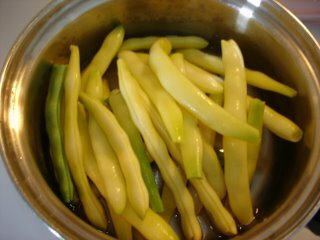 We picked lots of nice yellow beans from our garden. There seem to be some green ones in the mix too even though we didn't plant them. 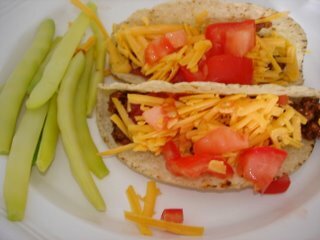 Yesterday we had tacos... nice and easy without much heat generated. 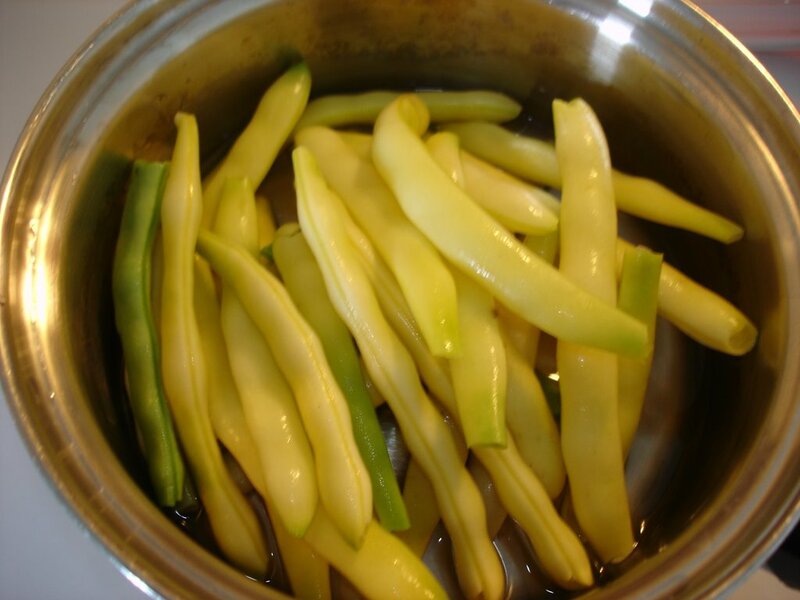 Oh how I love green beans! 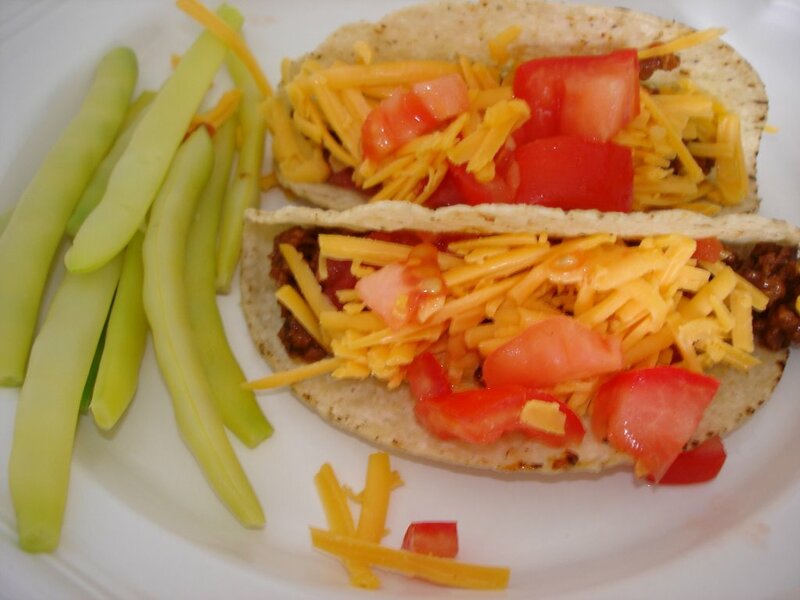 What a simply delish looking summer meal. That is some swell food you have going there! I'm so into easy cooking... I'm not the best cook around and I'm also lazy. Pasta is a lifesaver for me. Great photos and food! The best thing about our vegetable garden is that it has been encouraging my daughter who is 4 to eat more vegetables. And, yup, pasta is a lifesaver of a meal kleo!